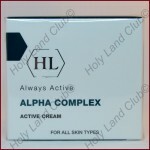 Holy Land Alpha Complex Face Lotion - Лосьон для лица 125 мл. Holy Land Alpha Complex Eye Contour Gel - Гель для век 15 мл. 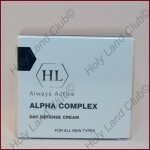 Holy Land Alpha Complex Day Defense Cream SPF-15 - Дневной защитный крем 50 мл.